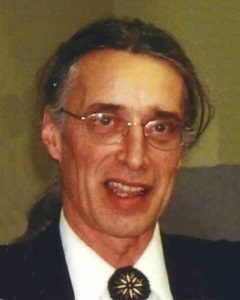 Ronald John Wibstad, age 67, of Darwin, Minnesota, passed away on Monday, April 8, 2019, in Dassel, Minnesota. Informal Celebration of Life Gathering will be held Saturday, May 4, 2019, between 1:00-4:00 P.M. at the Brownton Rod & Gun Club in Brownton, Minnesota. Ronald John Wibstad was born on May 26, 1951, in Alexandria, Minnesota. He was the son of Raymond and Lois (Moyer) Wibstad. Ron was baptized as an infant on June 10, 1951, and later was confirmed in his faith as a youth on April 11, 1965, both at Immanuel Lutheran Church in Gaylord, Minnesota. Ron received his education in Gaylord, Minnesota, graduating with the Gaylord High School Class of 1969. Ron loved nature, and shortly after high school moved to Colorado to live in the mountains in the early 1970s. He then returned to Gaylord, and over the years made his home in Gaylord, Hutchinson and Darwin, Minnesota. His first marriage blessed his life with three sons, Jess, Ben, and Mason. Ron had an entrepreneurial spirit and opened his own plumbing business. He also worked in various plumbing positions during his career and was known for being exceptional at his trade. Ron was a skilled craftsman and enjoyed helping his friends and family with just about any project. He also enjoyed playing cards, horseshoes, billiards, fishing, art, live music, his dogs, and being at one with nature. Ron is preceded in death by his Parents, Raymond Wibstad and Lois Wibstad-Tolzmann, Sister-in-Law, Kate Wibstad, and Niece, Amanda Wibstad. So sorry to hear this! Such a shock. I will be thinking about you in these hard times! Our sympathy. You have lost a lot this year with both of your parents passing. We are so sorry. Hippie Ron, You were a Great Guy & A Better Friend !! I’ll Miss You & Think of You Often. Bella will be Ok so Do what ya gotta do Ron to carry on.